Deliveries take place between 8:30am and 5:30pm Mon - Sat. For Guaranteed “AM” or “PM” delivery, please Tel 01942 217999 There is an additional delivery supplement of £2.00 for this service. All online Funeral Orders must be placed at least 24 hours prior to the requested delivery time to ensure we can prepare your selected tribute. If you need to place a Funeral Order for delivery within 24 hours, please contact a member of our team on 01942 217999 for assistance. We do not provide a delivery service on bank holidays. During peak periods (Valentines Day, Mother’s Day period, Easter weekend and Christmas period 18th - 28th December) deliveries will take place between 7.30am and 6.30pm on the requested delivery date. During these periods, no requests for delivery times either morning or afternoon, will be accepted. If flowers have been returned to the shop. We will wait to be contacted by the recipient to arrange customer collection, or re-delivery, please note that re-delivery may not be possible on the original delivery date. All products are subject to availability. In the event of any supply difficulties, we reserve the right to substitute with a product of equivalent value and quality without notice. 1. Any substitution will be of superb quality to ensure customer satisfaction. 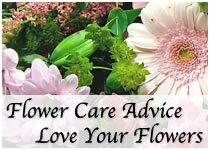 We Guarantee that every order delivered by Hills Florist will be of Good Quality in Good Condition and to the Full Retail Value, prevailing for goods and services in the shop on the day of delivery. Delivery will be made on the date specified. Where sufficient lead time is given, funeral orders will be delivered by the time requested. Delivery orders must carry a full and correct address for delivery purposes we cannot accept responsibility for late or non delivery of your order, if an Incomplete or Incorrect delivery address is supplied. Special delivery conditions apply to certain locations such as Hospitals, Hotels and Places Of work where a third party is involved. In these circumstances the signature of the person receiving the order will be accepted as proof of delivery and fulfillment of the order. Any complaint or dissatisfaction should be notified to us within 24 hours of the delivery being made.